Mgr Basil Loftus' weekly column in the Catholic Times (27th Feb 2014) is even more diffuse and rambling than usual. The Ordinariate of Our Lady of Walsingham gets a quick kick. The irony of citing Vatican II's Decree on Ecumenism to dismiss the importance of the Ordinariate, the most important ecumenical project of our generation, is lost on Loftus. He typifies the attitude that is in favour of ecumenism in theory, but is horrified when it actually works and brings unity about, even if only for a relatively small group. 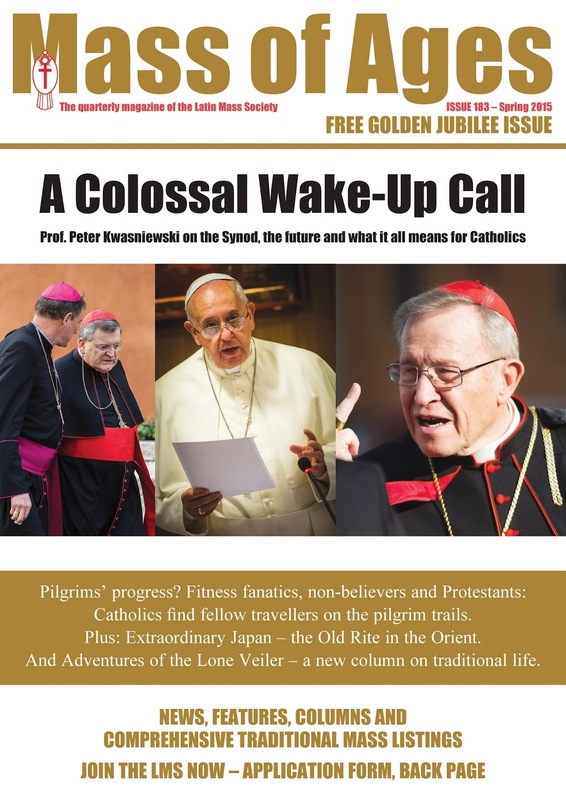 The new edition of Mass of Ages, the Latin Mass Society's full-colour magazine, is now available, and for the first time it is free for the general public. It is available in the back of a lot of churches and cathedrals, especially the ones with regular EF Masses. If your priest doens't stock it, get him to ask for it: it won't cost him anything. You can email the LMS Office for a copy, or view it online here. I particularly recommend the article about the Traditional Mass in Japan, which reveals that it influenced the famous Japanese tea ceremony, and the Art History page on 'The Fight Between Carnival and Lent' by Breugel. If you have EWTN don't miss their series on the Crusades; it is on this week at 10:30am and 9pm in the UK and Ireland and 6:30ET in the USA. 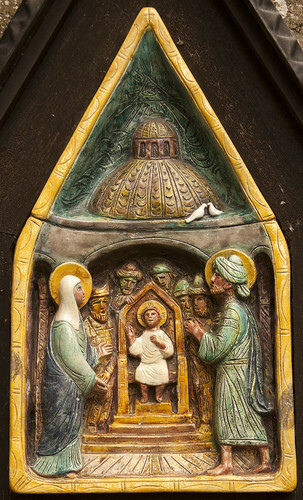 It includes footage of the Chartres Pilgrimage to illustrate the continuing relevance of the idea of pilgrimage. The crusades can be understood, in fact, as a series of military pilgrimages. It has been made in part in the UK; in the video below Stefano Mazzeo, who supporters of the Traditional Mass will know from other contexts, explains the point of the series. Further to the announcement of the FIUV of our project to arrange Masses for persecuted Christians around the world, I can now report a number of good responses. 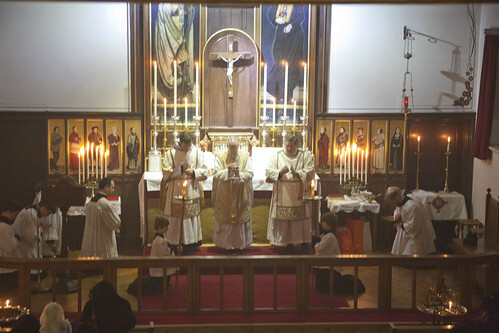 In London, England, four High Masses a year will be offered, in a collaboration with the Latin Mass Society and the London Juventutem group, which have High Masses on the last Friday of each month in St Mary Moorfields in the City of London. They will be for the intention of persecuted Christians, where possible with a Votive Mass, on 24th April, 26th June, 25 September, and 18th December this year. 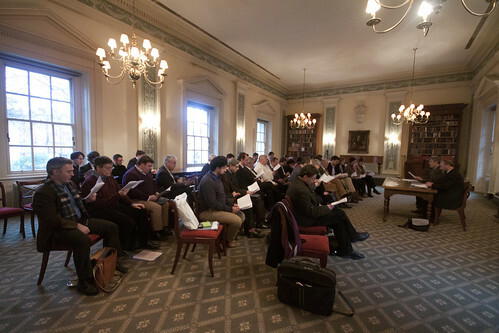 The generosity of the Latin Mass Society has enabled these to accompanied with polyphony. In Rome, Italy, Una Voce Italia will organise a quarterly Mass. 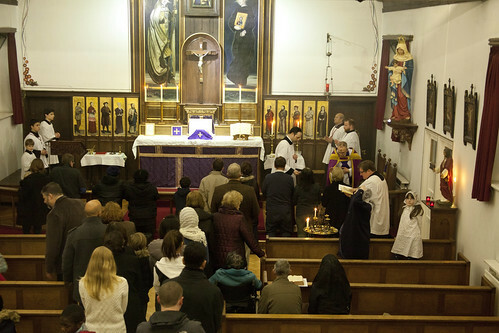 Una Voce Puerto Rico organised a Mass which took place on 22nd February. In the Philippines, the Ecclesia Dei Society of Saint Joseph has helped to organize a two-day series of Masses and devotions for the Pope and for Persecuted Christians. This will be held on February 23-24 in the Holy Family Parish of the Diocese of Cubao in Metro Manila, which is the only parish in the whole Philippines with a Daily Traditional Latin Mass. Una Voce Mexico has also promised to organise a Mass. Please support this campaign of prayer for our persecuted brothers. Say a Rosary, ask for a Mass to be said. Let us know in the com box of the FIUV blog if you can arrange regular Masses. You can make a donation for Masses also, through the FIUV 'donate' button (please let us know the purpose of the donation). A splendid illustration of my point about the focus on women within the Church (see here, here, and here) has been offered by the National Catholic Reporter (the institution Fr Zuhlsdorf likes to call the 'fishwrap'). What may be new is that more women, generation by generation, are moving in the direction of men -- away from faith, religious commitment, even away from vaguely spiritual views like "a deep sense of wonder about the universe," according to some surveys. What is fascinating is that the NCR doesn't deny the obvious - that today women are by every measure more religious than men, and found in greater numbers in Catholic churches. But the only point they draw from this is how dreadful it is if women turn out to be 'moving in the direction of men'. The LMS is offering two bursaries of £500 Sterling each towards the cost of attending the Summer Symposium in 2015 (the full price is $2,900). Our bursary, together with a further concession from the organisers of the Symposium, will reduce the total amount payable by each of these two participants to £500 each (based upon shared accommodation). The bursaries are for young adults up to 35 years. This offer is not limited to members of the LMS but is available to anyone from England and Wales. Through the Motu Propio Summorum Pontificum, published in 2007, the now Pope Emeritus allowed the possibility of celebrating the Mass according the liturgical books edited by John XXIII in 1962, notwithstanding that the "ordinary" form of celebration in the Catholic Church would always remain that established by Paul VI in 1970. However, the Pope noted that there are priests and bishops who speak of a "reform of the reform." Some of them are "saints" and speak "in good faith." But this "is mistaken", the Holy Father said. The Sons of the Most Holy Redeemer (F.SS.R), based on Papa Stronsay in the Orkneys, have announced an ordination to the priesthood of a member of their community, Br Jean Marie, on Saturday 11th April (Easter Saturday, the day before Low Sunday). Br Jean has been working in the Sons' apostolate in Christchurch, New Zealand, and will be ordained their by the emeritus bishop of the diocese, Bishop Meeking. 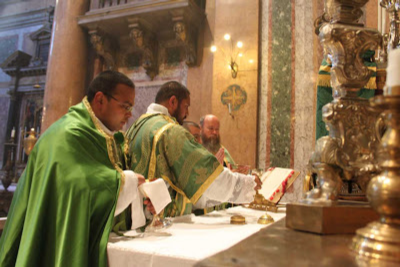 In the picture above he is acting as subdeacon at the first Mass of his confrere Fr Yousef Marie in Sta Trinita dei Pellegrini in Rome. A new edition of the Newsletter of the Friends of Papa Stronsay has more information; you can download it here. See the Friends' blog here; the Sons' own website is here. Don't forget to get 'ashed' today. There is a list of EF Masses for Ash Wednesday on the LMS website. Do some penance this Lent. The Church demands it. It pleases God. Regardless of the state of your soul. We are all sinners. I shall be singing at a Missa Cantata this evening in Oxford. This is the Tract, which is repeated on Mondays, Wednesdays and Fridays throughout Lent on ferias. O Lord, repay us not according to the sins we have committed, nor according to our iniquities. V. O Lord, remember not our former iniquities, let Thy mercies speedily prevent us: for we are become exceeding poor. (Here kneel.) V. Help us, O God, our Saviour: and for the glory of Thy name, O Lord, deliver us: and forgive us our sins for Thy name's sake. 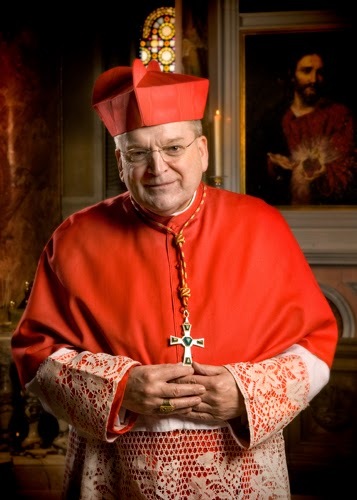 The latest Mgr Basil Loftus column is, perhaps, predictable, but as an example of the kind of use liberals are making of the present Pontificate it could serve as a exemplar for the edification of future ages. 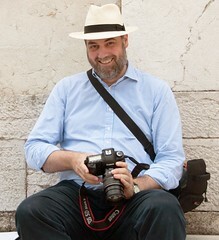 People dispute the idea that they have a nature, given by their bodily identity, that serves as a defining element of the human being. They deny their nature and decide that it is not something previously given to them, but that they make it for themselves. Today I am publishing a Position Paper on the Leonine Prayers on Rorate Caeli: go there to read it. Here I would like to make a few further observations on this topic. The paper is unusual as it is, first and foremost, an appeal to action: for the celebration of Masses for persecuted Christians around the world. But it does so on the basis of an historical understanding of the issues, something which the Position Papers try to bring to all their topics. From the historical point of view, the paper makes two interesting major points. The first is that the Leonine Prayers are not as anomolous as they may at first appear. 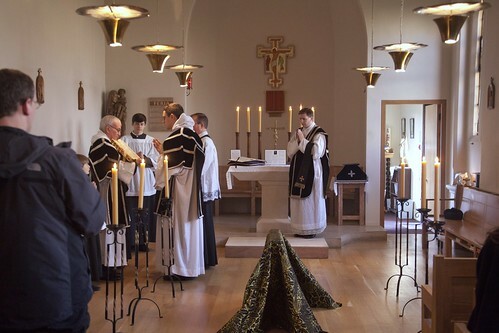 It may well be said that they are not 'really' part of Mass, they are stuck on the end of some, but not all, Masses, in an awkward and ad hoc way, and they detract from the liturgy. I confess my study of the liturgy gives me some sympathy with purist, Liturgical Movement-type arguments like these. 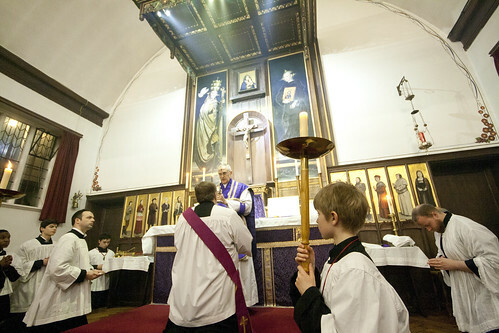 Earlier this month we had a beutiful High Mass for Candlemas, the feast of the Purification, in SS Gregory & Augustine. 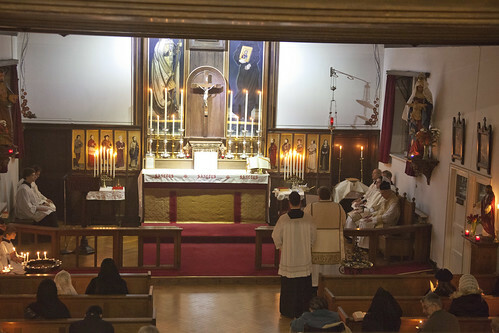 The blessed candles were distributed to the congregation, followed by a short procession, and then Mass. The lighting presented a challenge for photography. It is not just a matter of low light levels, but of the different shades of light: more and less yellow, shining in different directions. The candles are a 'warmer', more yellow light than the spot lights illuminating the Altar. They make the back wall look blue even when everything else looks rather orange. It wasn't really a problem for human beings present, we adjust mentally and think nothing of it, but it plays havoc with the technology. Bookings for the Chartres Pilgrimage are now open. 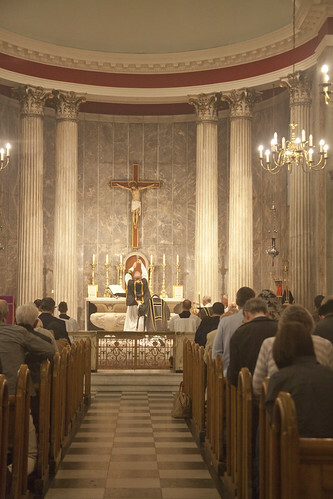 As for the past several years, the Latin Mass Society is offering sponsored places, cutting the cost by £100 for fifteen people. See the details here. This is a truly unique event, and participation is a truly unique experience. 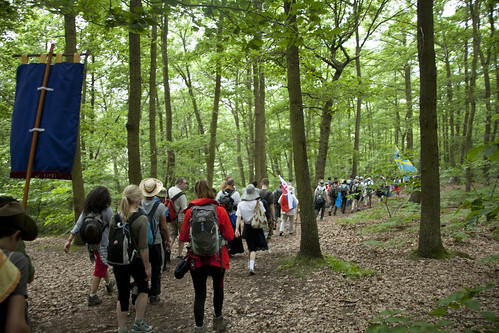 You need to be in reasonable shape to undertake this pilgrimage, it is certainly a physical challenge: a bit of preparation will make the whole thing more enjoyable. But all kinds of people do it, and there is no shame in dropping out if you really have to. 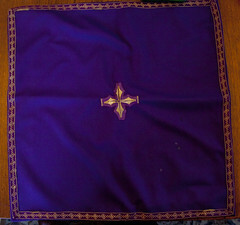 Updated photo of stoles: the ones crossed out have gone. A while ago I posted a photo of a vast collection of white stoles and burses which I had in my care which the LMS was able to give away. A lot have gone, a lot remain. Here is what is left. 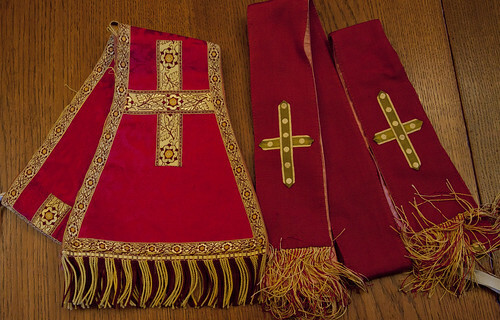 Two red maniples, one with a matching stole. I had 25 burses, now I am down, thank heavens, to a mere 11. 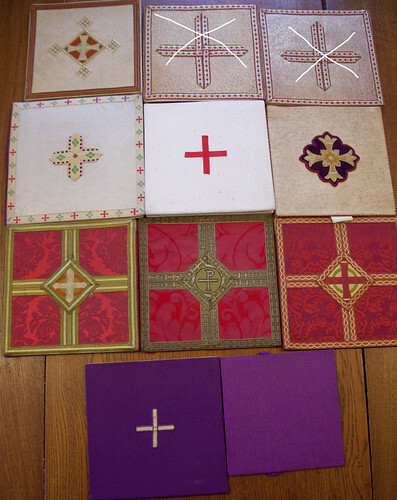 As before I will mail these out on a first-come, first-served basis to priests or deacons in the United Kingdom; if the priests could say a Mass for the Latin Mass Society's intentions that would be appreciated. Anyone else - lay people and people overseas - we can have a chat about it. I recently mentioned Jung on this blog, and I have been glad to discover that there is an excellent new CTS booklet, by Dr Pravin Thevasathan, on the general issue of mental health which provides a thorough introduction into Jung and also Freud. It is important to note that their incompatibility with the Catholic Faith does not derive from being scientific about mental health, but from being grossly unscientific. Both men extrapolated vast theories about normal psychology from the study of a small number of very disturbed people, and above all from their own hang-ups. Furthermore, their exploration of their own unconscious minds, in Freud's case with the help of cocaine, in Jung's in the context of a deep interest in the occult and 'automatic writing', were taken to give them insights into others'. Things are not, however, as simple as this. It is good to see that these old frauds are losing their hold over the thinking of the mental health profession; we'll have to wait a bit longer for this to be manifested in popular culture. Their influence has been profound, and it will take a lot to shift it. 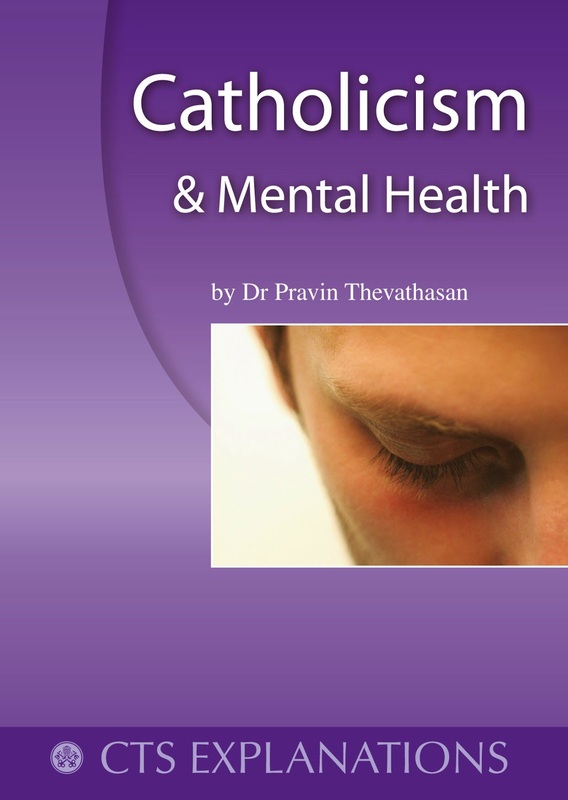 Among the merits of the booklet is the summary of Catholic attitudes to mental health before the modern era, which were frequently very positive, and the prudent discussion of how modern psychiatric treatments can work alongside spiritual care. While on the subject of the Catholic Truth Society, it would appear that they have finally allowed their bizzare polemic against Catholics attached to the Traditional Mass, Catholic Traditionalism by Raymond Edwards, to fall out of print. 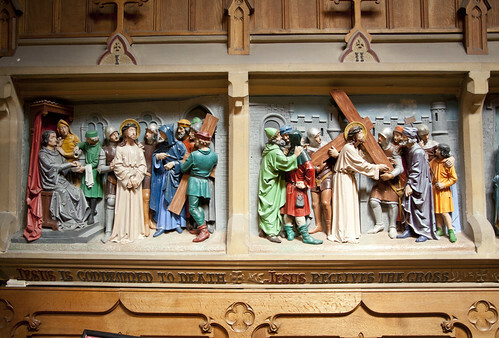 Jesus is condemned by Pilate; He receives His Cross. 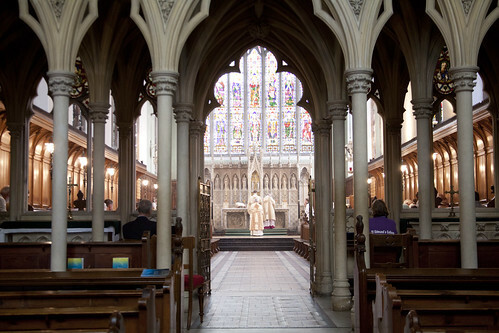 From St Augustine's, Ramsgate. On the internet, and particularly on conservative Catholic blogs, there has been a fair amount of talk about the possibility, the hypothetical possibility, of 'resisting the Pope': that is, when an initiative of the Holy Father, other than an infallible exercise of his teaching Office, should be so clearly destructive of the common good and the salvation of souls that individual Catholics, including priests, bishops, and cardinals, would be justified in refusing to cooperate with it, and perhaps obliged to do so. It is useful to keep this possibility in mind, because it sets a theoretical limit to what we are obliged to do or to believe. Pope John XXII preached something incompatible with the Faith from the pulpit (in Avignon, since this was during the Papacy's exile there). Here is the old Catholic Encyclopedia on the case. Before his elevation to the Holy See, he had written a work on this question, in which he stated that the souls of the blessed departed do not see God until after the Last Judgment. After becoming pope, he advanced the same teaching in his sermons. In this he met with strong opposition, many theologians, who adhered to the usual opinion that the blessed departed did see God before the Resurrection of the Body and the Last Judgment, even calling his view heretical. A great commotion was aroused in the University of Paris when the General of the Minorites and a Dominican tried to disseminate there the pope's view. Pope John wrote to King Philip IV on the matter (November, 1333), and emphasized the fact that, as long as the Holy See had not given a decision, the theologians enjoyed perfect freedom in this matter. In December, 1333, the theologians at Paris, after a consultation on the question, decided in favour of the doctrine that the souls of the blessed departed saw God immediately after death or after their complete purification; at the same time they pointed out that the pope had given no decision on this question but only advanced his personal opinion, and now petitioned the pope to confirm their decision. John appointed a commission at Avignon to study the writings of the Fathers, and to discuss further the disputed question. In a consistory held on 3 January, 1334, the pope explicitly declared that he had never meant to teach aught contrary to Holy Scripture or the rule of faith and in fact had not intended to give any decision whatever. Before his death he withdrew his former opinion, and declared his belief that souls separated from their bodies enjoyed in heaven the Beatific Vision. Metroplitan Hilarion is in charge of 'external relations' for the Russian Orthodox Church. A recent talk gives a good summary of his thinking on relations with both Protestants and Catholics. This passage is particularly relevant to the Catholic Church. I would like to say that today the Orthodox and Catholics encounter the same challenges which the modern age has thrown down to the traditional way of life. In this instance we are dealing not with theological issues but with the present and future of the human community. This is precisely the area in which we can interact without harm to our ecclesiastical identity. In other words, in not being one Church, in remaining divided by various theological and ecclesiological issues, it is possible for us to find ways of interaction which allow us to answer jointly the challenges of the modern-day world. From the website of the Diocese of Dunkeld, where they have a new Bishop, Stephen Robson. The first thing Bishop Stephen had to find out when he was approached was the number of people who would be seeking to have such a celebration. 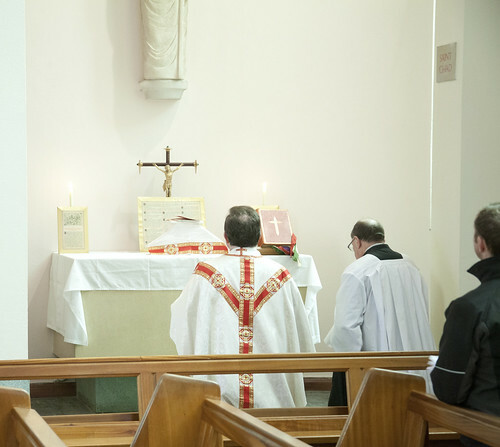 There appears to be a stable group of about 60 people in the diocese which would give sufficient reason to promote the celebration of an Old Rite Mass. But this would need to be sustainable and stable. It must also be able to sustain itself financially and be well enough supported in sufficient numbers. 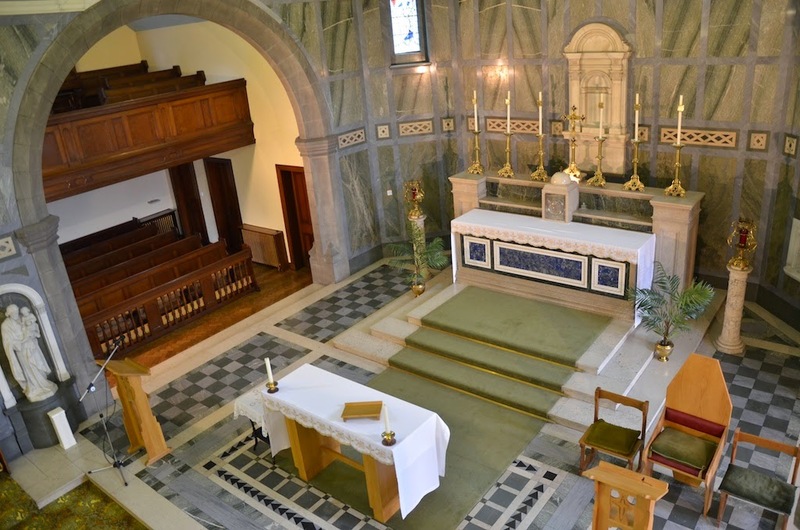 Accordingly Bishop Stephen has decided to plan a celebration of the Extraordinary Form of the Mass in Lawside St Joseph’s Convent Chapel on Sunday, March 15th 2015 at 4pm (4th Sunday of Lent). This will take the form of a Sung Mass in the Old Rite according to the Missal of Saint John XXIII (1962). If there is sustainable congregation, it will become a regular Mass. Well done to all the supporters of the EF in the diocese, and the tireless work of Una Voce Scotland. This looks very interesting, and if I can I hope to attend myself. Prof Pink addressed the LMS One Day Conference in 2014: here is an article by him on Church and State. 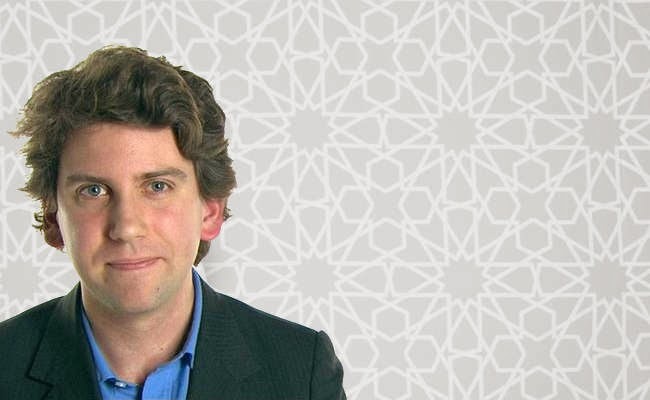 Tim Stanley is a regular contributor to the Catholic Herald, and the Telegraph. The Centre for Catholic Formation, 21 Tooting Bec Road, London SW17 8BS. 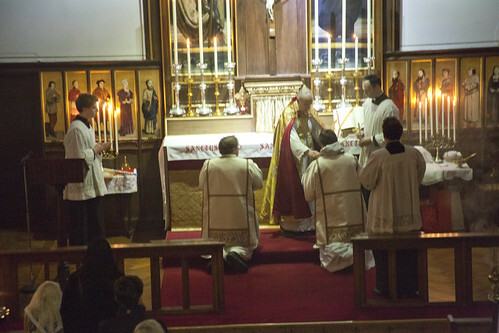 The solemn proclamation of the Gospel at a Traditional Requiem Mass. It was because Jesus wants to break through that hardness of heart, because he offers, to use the phrase of Ezekial (36:26) to replace our heart of stone with a heart of flesh, that he wants to put a stop to divorce, or at least the respectable re-marriage to another spouse which is the hard-hearted intention of most divorces. One of the reasons that the Church is finding it difficult to hold the line on divorce is that, if we are honest with ourselves, the teaching on the indissolubility of marriage has not been presented with forcefulness for half a century at least. The Church is full of compassion for those who are going through marital difficulties, for the separated, for the divorced, and for the remarried. That is a good thing. But we aren't sent simply to weep by the sidelines; the Church is supposed to have some insight into human nature. What are these people told to do? Are they told that divorce and remarriage, as a solution for marital problems, overwhelmingly often has catastrophically bad consequences for both spouses and especially for the children? Are they told that the marriage vow imposes a sacred obligation to remain with one's spouse, that the grace of the sacrament will assist with the common life of marriage, and that infidelity is poison to the life of grace and to the marital relationship? And what's the point of retaining it in the Extraordinary Form? It seems a good moment to re-post this video. See also the Postioin Paper on Septuagesima, Vigils and Octaves, here. I've given a lot of space on this blog recently to the question about men being lost to the Church, and a reader kindly mentioned a book which notes the contrasting situation in the Orthodox Church. This is the testimony of an American, female, convert to Orthodoxy. She begins with a reminiscence about attending Vespers when she was new to it. The struggling choir was weak and singing in an unintelligible language that may have been English. The few other worshipers weren't participating in the service in any visible way. Why did they hide the altar behind a wall? It was annoying how the priest kept popping in and out of the doors like a figure on a Swiss clock. The service dragged on following no discernible pattern, and it was interminable. Something about Orthodoxy has immense appeal to men, and it's something that their wives--especially those used used to worshipping in the softer evangelical style---are generally slower to get. The appeal of joining this vast, ancient, rock-solid communion must be something like the appeal of joining the marines. It's going to be demand a hell of a lot out of you, and it's not going to cater to your individual whims, but when it's through with you you're going to be more than you ever knew you could be. It's going to demand, not death on the battlefield, but death to self in a million painful ways, and God is going to be sovereign. It's a guy thing. You wouldn't understand.